Paleo is short for Paleolithic, but the name is actually less important than the power of the overall approach. Whatever name you choose, the “Paleo” way of eating is simple: Mimic our ancestors, who suffered from fewer chronic diseases than modern populations. This doesn’t mean that you’ll recreate a caveman’s food landscape, of course. Our food supply and our environment are different from our ancestors, so we must adapt as new information comes to light – it’s about health rather than re-enacting the past. Hi Amanda — haha, I wouldn’t have ever tried Paleo if it didn’t include coffee! Luckily I had mine black (but sometimes now I’ll have a drizzle of organic cream in it). Milk isn’t Paleo of course but some people can tolerate a bit of dairy (which would make it more of a primal diet) — you’ll just need to experiment a little and find what works for you. I was (and still are to some extent) a bit in your camp because I really, really enjoy coffee and it was one thing I wasn’t willing to even contemplate giving up. BUT I have learnt the hard way I have to cut out the coffee whenever I’m feeling particularly stressed, or if I have an over-full schedule or have something personally challenging on as it really ramps up any anxiety I’m feeling — even though at the time it’s all I want! What about a glass or two of pinot or bubbles at the end of the week. Yes or no. Or soda water daily? Those two questions are exactly the ones I needed answers to, thanks for that. Hi Ruth — yep, those questions come up a lot! I love your site, the website layout, the recipes and your information. Keep up the good work! Been on diet 2 weeks not losing. Have been following plan. Any pointers. 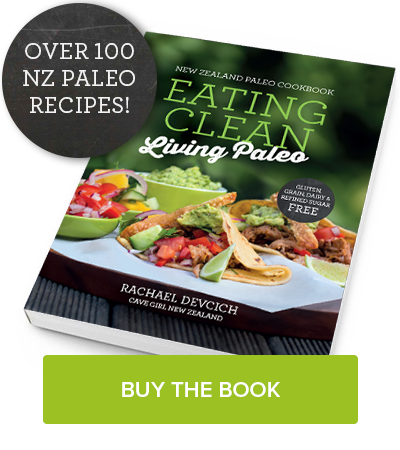 Hi Lynn – not quite sure which plan you are following … just general paleo way of eating or something more specific?